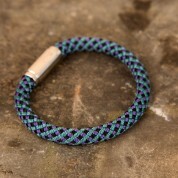 We stock a wide range of fashion wristbands which are created for lovers of extreme sports or just being outside. They are designed and made in Britain with authentic sailing and climbing rope (mostly from British professional rope companies). Every rope has been stringently tested for its specific purpose, be it sailing, ocean racing or perhaps mountain climbing. 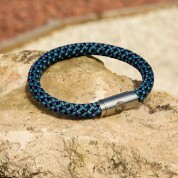 The high quality materials make the band resistant to water, tough wearing but extremely light. It is the perfect gift for an extreme sports person that leads a “dare devil” active lifestyle. It is ideal for sitting astride a snow covered mountain, clinging to a catamaran, skiing, cycling or another outside or inside sport. 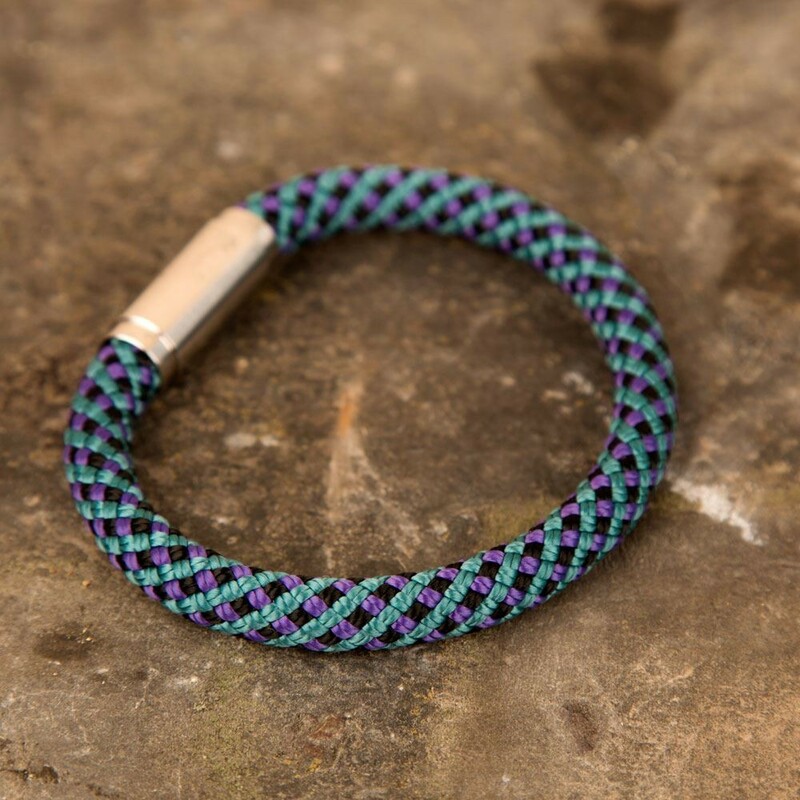 The Teal wristband is made up of climbing and sailing ropes that are purple, black and green which will stand out on any person's wrist particularly outside. The chunky band looks fab on its own but it also looks good stacked up with other wrist bands. 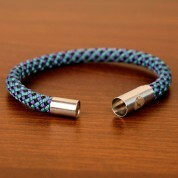 The band has a stainless steel clasp (made from the finest 316L steel) which is connected by a super strong magnet. It means the wrist band is extremely secure and is easy to put on. You just pull it hard to open and shut it firmly with no fuss or hassle. This fashionable accessory comes fabulously packaged in a branded circular metal tin which contains protective fabric and a card insert. It is a great place to store the band when the sports person is not wearing it. Sizing Information: Each wristband is approx 7mm in diameter. M: 20.5-21.5cm, L: 21.5-22.5cm (Aver. man) XL: 22.5-23.5cm, XXL: 23.5-24.5cm. *Please note only certain sizes are available for each style.